Did you know that you can grow your own all natural, luxurious bath sponges, right in your backyard garden? You don’t need to spend a lot of money to buy them from a high end boutique. If you wonder how to grow luffa gourds, I’m here to tell you it’s not that hard. You WILL need a good amount of space, as the luffa plant grows several feet tall and it likes to spread. Luffa plants need between 120 and 200 days of heat, so if you live in cooler climates you’ll need to start seeds inside, or in a greenhouse. Germination might take anywhere from 10 days to a month, depending on the seeds. Soaking the seeds for 24-48 hours will speed up the germination. If you plant them in biodegradable pots, you’ll save the plants some of the shock of transplanting (loofah plats are finicky). Once the last frost has past for your area, start hardening your plants off for a few days and then transplant on the hottest, and sunniest spot in your garden. Make sure you plant the luffa next to a sturdy fence or trellis, as it needs to climb and have enough support. 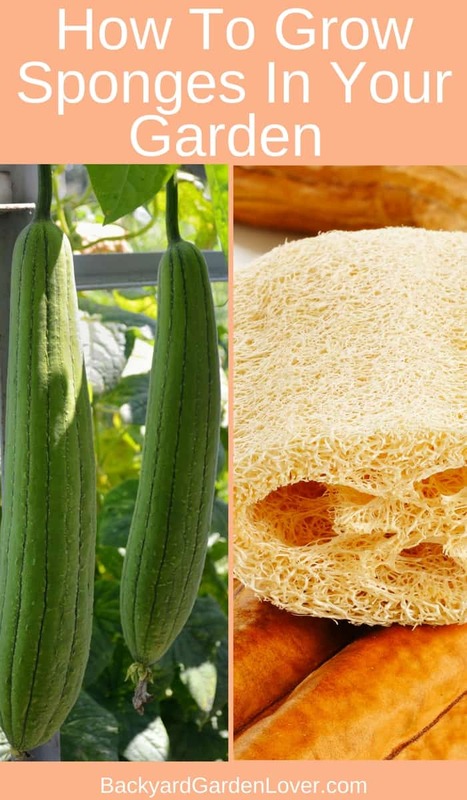 Once your plants are established, make sure you water your luffa plants: they need lots of water to grow. Mulch the plants well, so they retain moisture. One more thing you can do to ensure a healthy plant is to remove the first couple lateral branches and the first few flowers. Luffa gourd seeds are black when mature. To remove the seeds from the gourd, cut off the larger side and shake the seeds out on a paper towel. Let them dry for a week or so, and then store then in a tightly closed container in a dry, dark place. The best place to get luffa seeds is your own garden, once you grow your first crop of luffa gourds. But if you’re new to growing luffa gourds, you can get seeds from a neighbor, from a seed exchange, or, Amazon. Burpee has good seeds. 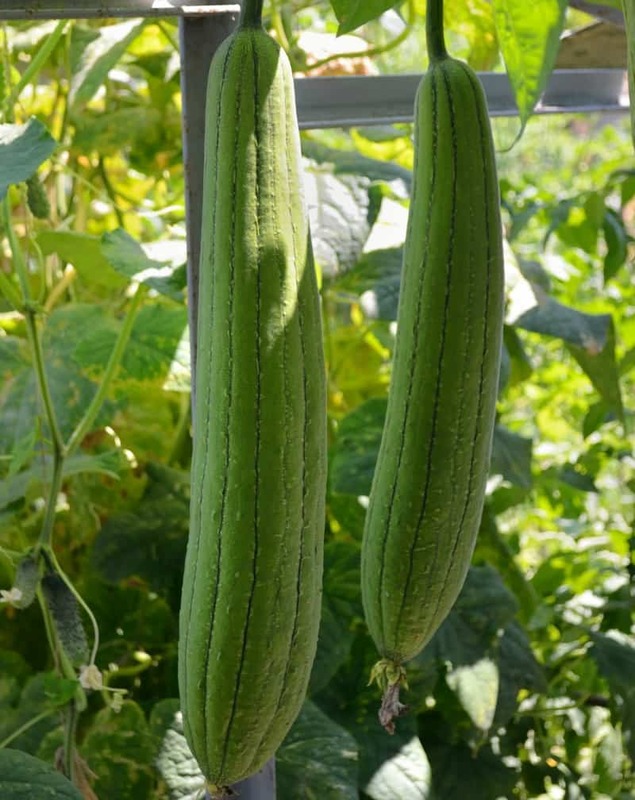 Luffa gourds are ready to harvest when they turn yellow or brown. If there’s a chance of frost, pick your gourds even if they’re still green. They’ll be harder to peel, but will still be good. If they freeze, they’ll get damaged. Watch Jake Mace peel his gourds and listen to him talk about the benefits of using a natural sponge for your daily shower routine. Absolutely! You’ll just have to harvest it really young, as they become fibrous when maturing (forming the loofah sponge). Cook luffas just as you do any squash: fried, sauteed with onions and garlic, soup, etc. This luffa curry looks delicious! 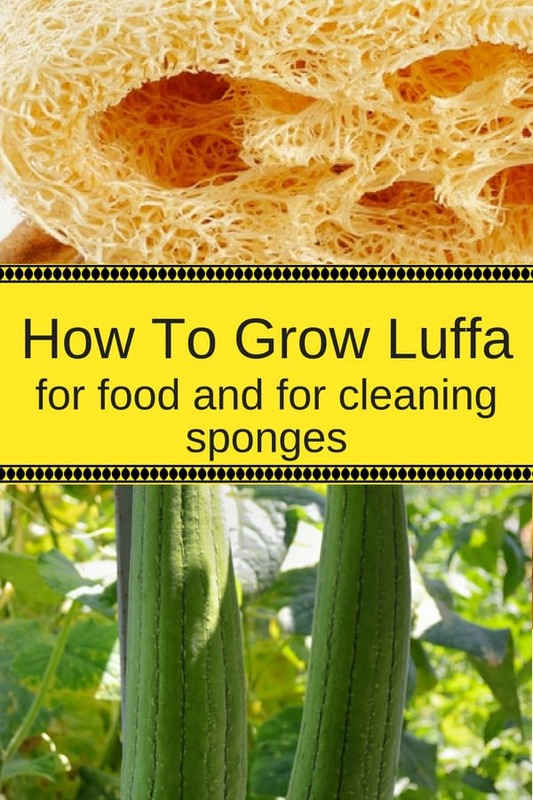 It’s time to grow some luffa gourds yourself and enjoy some healthy luffa squash and the luffa sponges. How can I get some of your luffa seeds or any seed?